Our Principal Solicitor is Dominic Green. He is admitted to practice in NSW, and holds undergraduate and postgraduate qualifications in law, economics and other disciplines also. By age twenty-seven, Dominic had built a large enough client base, and experienced enough success, to begin taking steps to start the Firm, and in August 2014, he founded it. Dominic has a fantastic working relationship with some of Australia’s best barristers, and is widely respected among his peers, ranging from NSW Police prosecutors to solicitors of the DPP, to Magistrates and Judges, to practitioners in other fields, and to most barristers’ chambers in Sydney. Dominic appears regularly in all Courts and Tribunals in NSW, the High Court of Australia, Courts and Tribunals in other Australian States, and sometimes even abroad. His successes range from high-profile murder cases right down to traffic offences in criminal law, through to deceased estate cases worth tens of millions of dollars, and media-covered civil class actions. He has been engaged by private industry groups to assist with law reform, consulted to national educators and had articles featured in several widely circulated publications. He has a unique yet expansive network that proves an invaluable asset to all clients and cases. He is known for being fearless, tireless, creative, strategic and tempered where required, and overall, for achieving impressive results and building friendships with his clients. 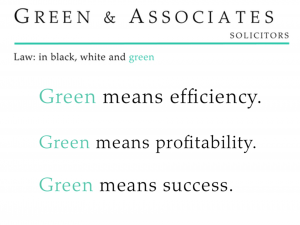 Our Firm is flexible and accommodating and works around its clients to suit their needs. We cater to clients in countries all over the world and use their preferred technologies to do so. We offer discounts for early payments and obligation-free consultations at the outset. We also travel and work irregular hours where needed. Contact us to obtain a creative and unique insight into a strategic approach to your problem.